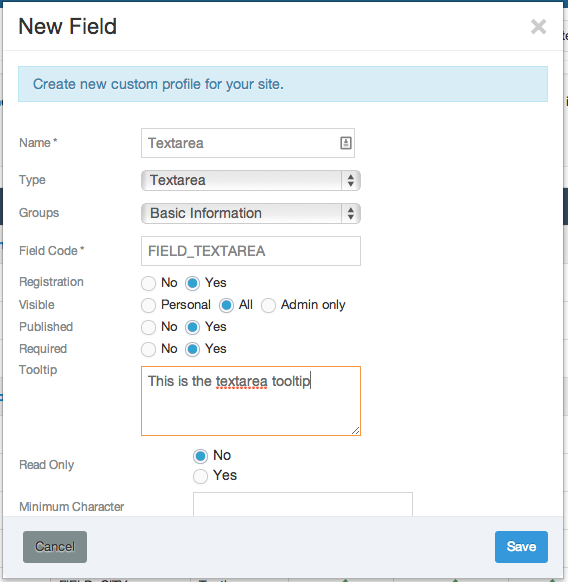 Textarea Field allow site admin to add the area where free text can be inserted. This field is useful when answer needs to be long, or explained in better details. 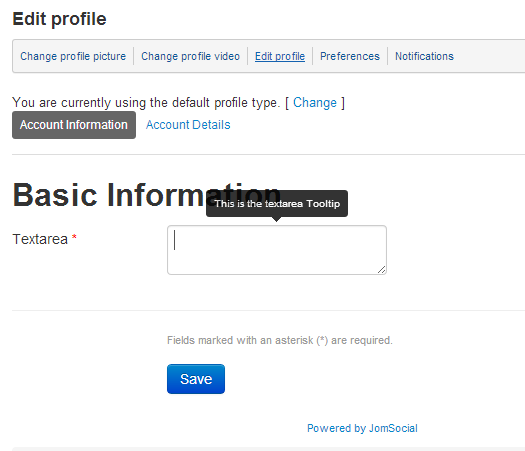 To create field of type textarea navigate to site backend and from Components dtropdown menu select JomSocial -> Custom Profiles. Field Code - Unique Field Code. Can be put to any value. Later can be retrieved through API and used everywhere, even in third party components. Style Attribute - Allows adding the custom CSS styles for the field.